Royal Canin Feline Health Nutrition Intense Beauty Pouch Cat Food comes in easy to chew small chunks smothered in gravy for better ingestion and digestion. 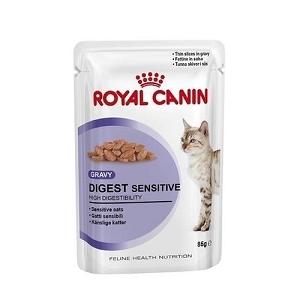 The ingredients in Royal Canin Feline Health Nutrition Intense Beauty Pouch Cat Food help to promote healthy kidney and urinary system. Intense BEAUTY features increased levels of Omega 3 and 6 fatty acids, B vitamins, biotin and zinc to nourish the hair and maintain a shiny coat. Intense BEAUTY contains the optimal amount of calories to help maintain your cat’s ideal weight. 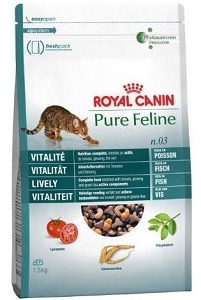 By utilizing Macro Nutrient Profile science, Royal Canin has formulated Intense BEAUTY to be instinctively preferred by adult cats. That means your cat gets a formula it loves while getting the precise nutrition it needs at each and every feeding. 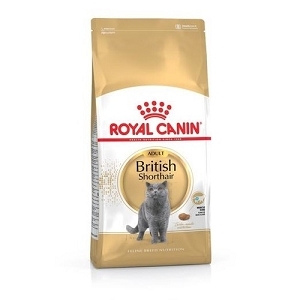 Every can of Royal Canin® Intense BEAUTY is backed by a 100% no risk guarantee.